This list is a major time commitment and it is my pleasure to put it together. All I ask in return for the list is that you remember I’m A REALTOR. If you have a relationship with another REALTOR, I love loyalty and respect those relationships. However, if not, or if you need a second opinion, Please keep me in mind. Many agents spend money advertising for new business, others make cold call or door knock. My business is based on referrals from past clients and friends. The less time I have to do traditional prospecting the more I can do for the cycling community. For example: this list. GABA Gates Pass, Avra Valley loop Rillito River Bike Path, about ½ mile West of La Canada. Sunday, December 7, 20148:30 AM 48 miles 12-16 http://www.meetup.com/bikegaba/events/219019332/591-6894. 19th BICAS Art Auction – December 2014 The Drawing Studio, Inc.
Last week The Damion Alexander Team shared thousands of photos from various rides and events around Tucson. To see the photos, Look at “The Damion Alexander Team” on facebook and please like it while you are there. Starting Dec.1st 12:01am through Dec. 7th 11:59pm we will be holding our first of many STRAVA challenges. Strava is an app/website that tracks your rides through GPS. We are challenging you to ride 175 miles (282 km) or more during the first week of December. Mileage will be tracked through the Ordinary Bikes Strava Club, so make sure to sign up on Strava.com and join our Strava club if you haven’t already. This week and next many of the regular ride time are being pushed back to accommodate the sun. I try and verify the times, but some of the start times might be later. I expect many of the standard Saturday rides will be opt to ride in El Tour De Tucson as well. Also, with Thanksgiving there may be a few rides that take the week off. I try and check every one of these. If you do any of these rides and see an error, please let me know. This week we have a fraction of the regular rides as many cyclist will be at El Tour De Tucson and Thanksgiving is Thursday. Happy Thanksgiving. Do yourself a HUGE favor. One you will truly be Thankful for. Sign up for another big Ridein the spring NOW in order to keep the motivation through the holidays. I see so many riders train for El Tour and as soon as they cross the finish line they don’t get back on the bike until next fall. The Tour De Cure is March 1st. It has 50 and 100K rides. This is the motivation you are looking for to keep riding after El Tour De Tucson! If you use the Promotion Code The Damion Alexander Team you can waive the registration fee. If you want to ensure you get this list, email Damion@DamionAlexander.com and put “ride list” in the subject. If you want to ensure you receive the ride list please email damion@damionalexander.com and put ride list in the subject. The format is a little different and easier to read in the email. We have officially entered Bike Season for the masses. This week the list includes 24 unique rides. This week I put some miles in the saddle house hunting with a client from Colorado. I also gave them a tour of 50 year trail and the Urban Assault. If you have a friend moving this way who is a Cyclist, I am The Cycling Realtor and The Cyclists Realtor. Even if it is not looking at the homes on bikes, I’ll give them an introduction to what Tucson offers like no one else. Thanks in advance for all your real estate referrals. SDMB has a robles ride on the calendar at 6:30, but due to Pint night at Borderland, I think it may be canceled. EL GRUPO GRAN FONDO. A Ride to Support Youth Cycling. 2805 E Ajo Way Sat Nov 1 8:00AM 25.5 12-14MPH http://www.meetup.com/bikegaba/events/216468382/ Meeting in the parking lot of the YMCA at 7:45 AM. Look for a long wheelbase Vision recumbent bike. That will be your ride leader. 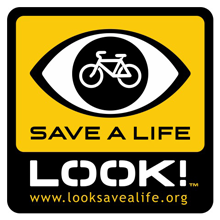 Nov 1 7am 54 14-16MPH http://www.meetup.com/bikegaba/events/216003192/ call or text 591-6894. SAMBA Monday Night At Fantasy Island Fantasy Isl. One of my goals of this list is to go on as many rides and give a review. Last week I was able to catch the Bicycle Ranch Sat Am shop ride as well as Living Street Alliances Kidical Mass Ride. What a great contradiction in what Tucson offers. A fast shop ride and slow cruise with kids. This week many rides have changed start times. I’ve tried to contact every ride leader, but it’s possible I missed one. If you see anything that needs changing please let me know. Also, as we get into the holiday season you might be looking for some additional motivation. I scoured the state for upcoming races. The list now has over 30 reoccuring weekly rides, 20 rides this week, 8 upcoming events and over 20 races. There is a ride for everyone. So to quote Queen “Get on your bikes and ride”. If you want to ensure you get this list and are not on the distribution list, E-mail Damion@DamionAlexander.com and put “ride list” in the subject. Also, feel free to use the same email to contact me about selling your house or helping you find a new one. Coffee afterwards at Mona’s Oro Valley route. 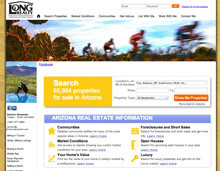 We will follow the El Tour de Tucson route so everyone sees the changes from previous years. If you want to ensure you get this list and are not on the distribution list, E-mail Damion@DamionAlexander.com. Also, feel free to use the same email to contact me about selling your house or helping you find a new one. I hope to be out there taking pictures. Remember, smile when you see me. Coffee afterwards at Brueggars /jamba/Tucson Tamale/Starbucks Ride the northeast route clockwise or out Spanish Trail to the Monument and on from there. FREE ICECREAM AFTER RIDE!!!! www.livingstreetsalliance.org or call 520-261-8777. 6:30 PM Lights are still needed! Can’t Say, but it is the best underground MTB race of the year South East side of Town Saturday Oct 11th 8:30 60 Miles If I told you, they would break me in half, but if you really want to know, e-mail me and I might tell you about it. Please let me know if you see anything that needs changing on the list or if you have an event or ride that is missing. With many of the events listed in the Event section they have a need for volunteers. Volunteering can often be more fun than the actual ride and as Bike Patrol you still get to ride. It definitely will give you a different prospective on what it takes to make all of the events happen. Also, I know how expensive it can be to enter races and for some it is financially impossible to pay, but by giving time it allows you to still participate. I’m mentioning this now as there was a call for Bike Patrol for the Colossal Vail 50/50 in November. El Grupo also relies heavily on the generosity of the community both in time and donations. So, please get involved and help make Southern Arizona the best cycling community it can be. Bike Tube Wallets- Fancy an upcycled wallet made with bicycle parts? Join BICAS for 1 or both classes! Suggested donation $3-5.